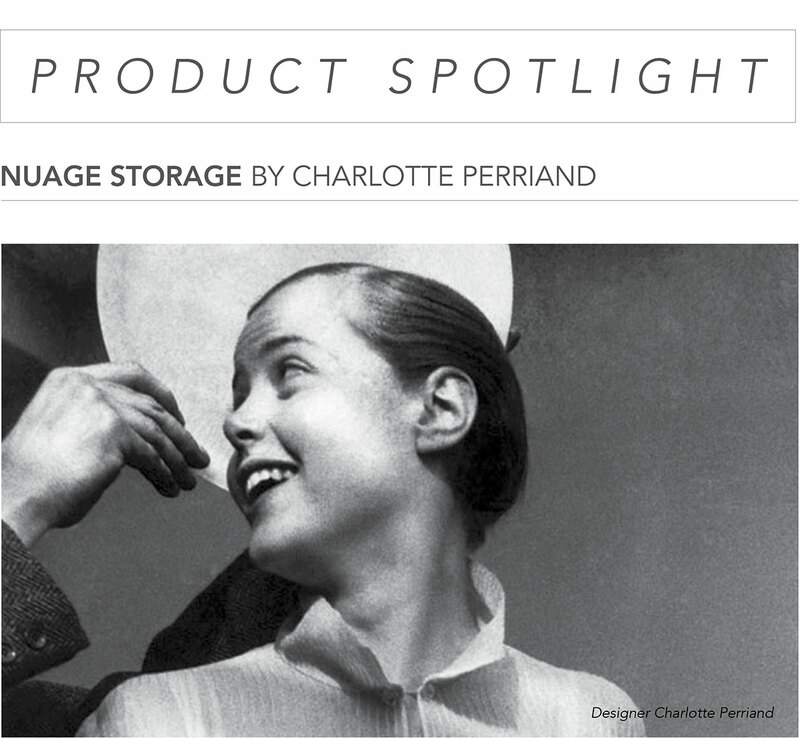 Renowned for her groundbreaking product designs, Charlotte Perriand never stopped studying and thinking about cupboards and bookshelves throughout her long career as an architect. 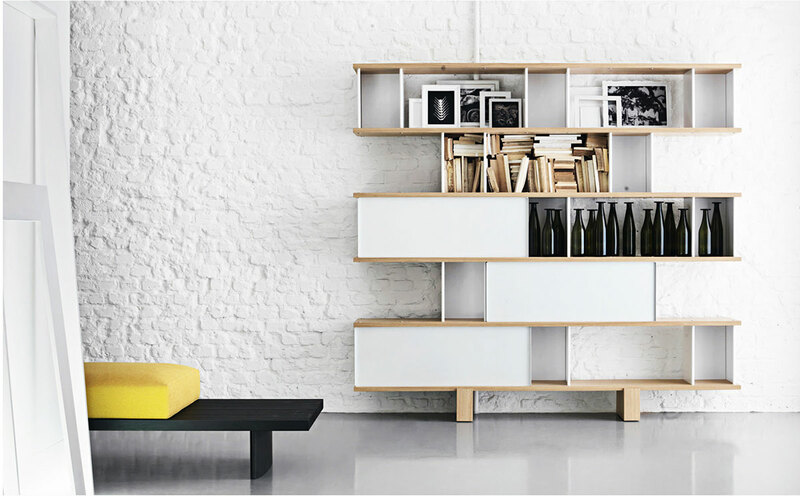 Half way through the 1950s, she started working on Nuage, a family of bookshelves and cupboards which are currently manufactured by Cassina, who holds the exclusive rights for reproducing this iconic collection. 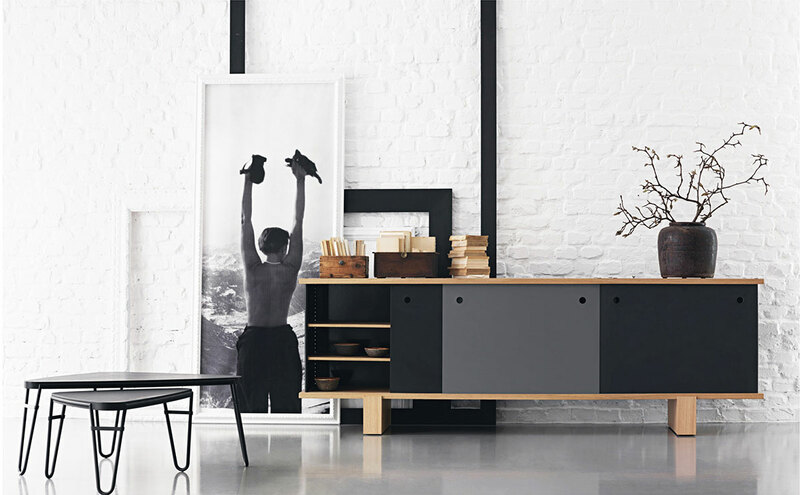 Nuage ranges from sideboards and cupboards to bookshelves, with ground support or hung following symmetrical and asymmetrical plans, or even free-standing bookcases capable of structuring the architecture of a space. 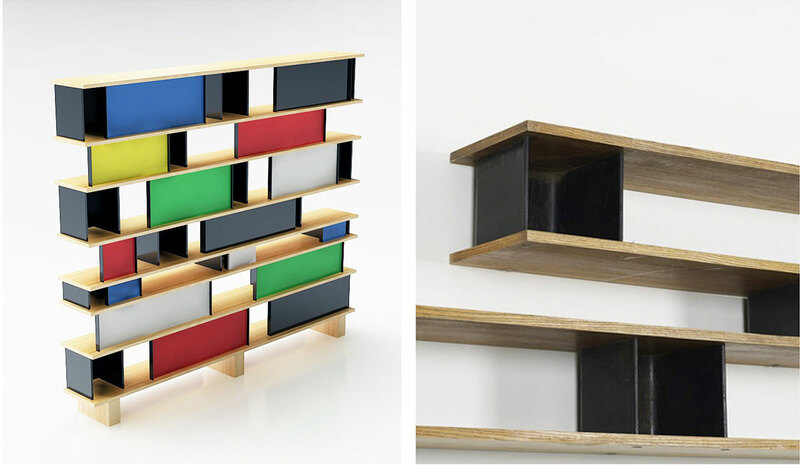 The basic components are the wooden oak shelves and vertical elements in aluminum which has been anodized or painted black. 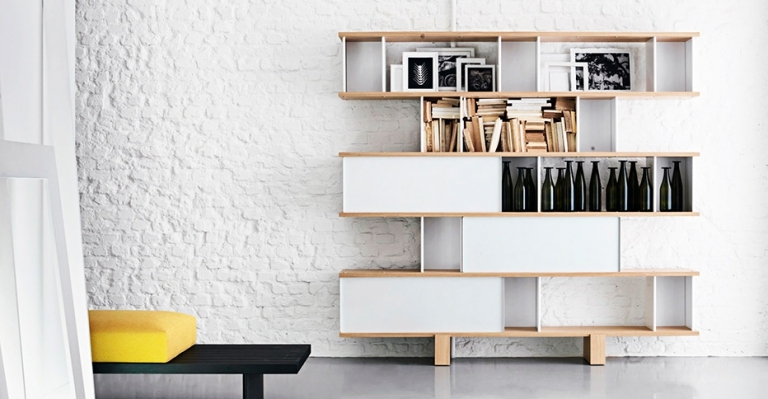 Nuage is made in five heights in order to best organize various formats of objects and books. Its sliding metal-panel doors are avaialable in red, blue, green, yellow, gray, white, or black. For more information about Nuage storage email us at sales@arksf.com or give us a call 415.565.7200.